Sweet meets heat in this Spicy Butternut Squash Soup Recipe, which just happens to be Vegan, Paleo and Whole 30 too. It’s ridiculously easy to make if you follow our trick for cooking squash in a slow cooker first! I pick up butternut squash when it’s in season just about every time I shop so that we can have a cup of this sweet and spicy butternut squash soup to round out lunch or dinner. The sweetness comes from apple and the heat from just a hint of cayenne pepper. The ingredients are clean, simple and naturally delicious. It turns out I’d been doing it all wrong when it comes to making butternut squash soup! If you cook the squash in a slow cooker first, then it’s easy to cut in half, scoop out the seeds and combine with the rest of the ingredients on the stove top! 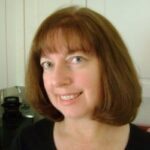 Now, I use this method to make Creamy Butternut Squash Soup and so many other dishes. Because of this discovery, I no longer avoid squash in the grocery store because I just don’t want to deal with the cutting or peeling…or potential loss of fingers. 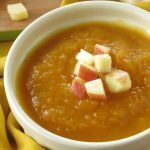 Once the butternut squash is cooked (either in a slow cooker or in the oven) it is combined with onion, apple, vegetable broth and spices. 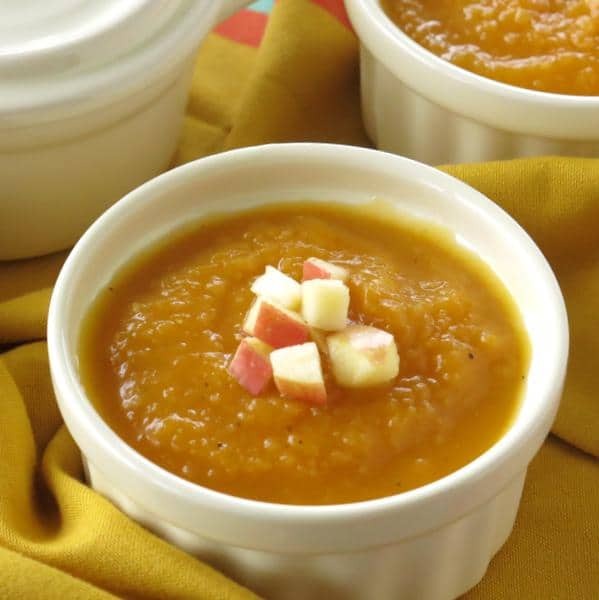 Use an immersion blender to puree the soup and then it’s ready to be enjoyed. The easiest way to prepare butternut squash for a soup recipe is to cook it in a slow cooker. Place the entire butternut squash into a crock-pot. Of course, traditional methods for cooking butternut squash will work too! Toss peeled and diced butternut squash with oil and sprinkle with salt and pepper. Bake in a 375 degree F oven for about 15-20 minutes or until fork tender. This is the process we used for Creamy Butternut Squash Soup. Time-saving tip: Cook the butternut squash a day or two in advance so it’s ready when you are! Check out our guide for making Crock-Pot Butternut Squash Puree and freezing portions of it for later. Cinnamon and nutmeg are two spices that pair perfectly with butternut squash soup. The heat comes from cayenne pepper. A little heat goes a long way for my crew. I only added a smidgeon of heat. You don’t have to add any pepper at all! Or, you can double the amount. Can you freeze butternut squash soup? Butternut squash soup freezes beautifully (even if it has cream in it.) Place the soup in an airtight container, leaving about 1/2 inch at the top for expansion. Store the soup in individual sized containers for quicker thawing and so you can pull out the exact number of servings needed. To defrost, place in the refrigerator overnight and warm on the stove-top or in the microwave. Since it freezes so nicely…you’re going to want to make a double batch! Tag @DinnerMom or #DinnerMom on social media if you make this recipe. We love to see what you are cooking! 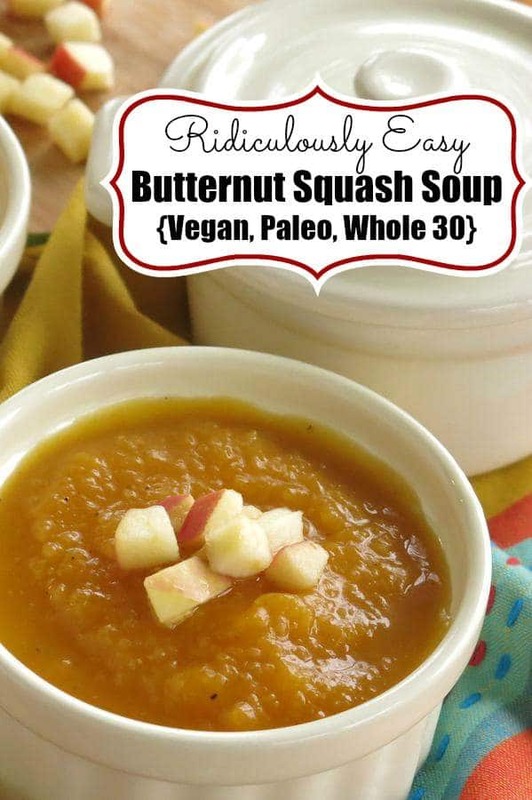 Spicy Butternut Squash Apple Soup Recipe is Vegan, Paleo, Whole 30 and so very easy to make. The trick is to cook the squash in the slow cooker first. No cutting, poking or water required! 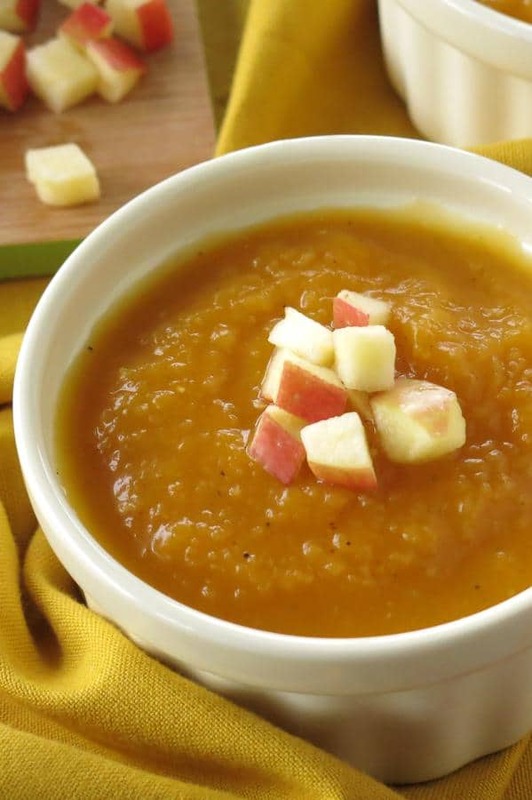 Place butternut squash in a slow cooker and cook on high for 3-4 hours or on low for 5-6 hours. 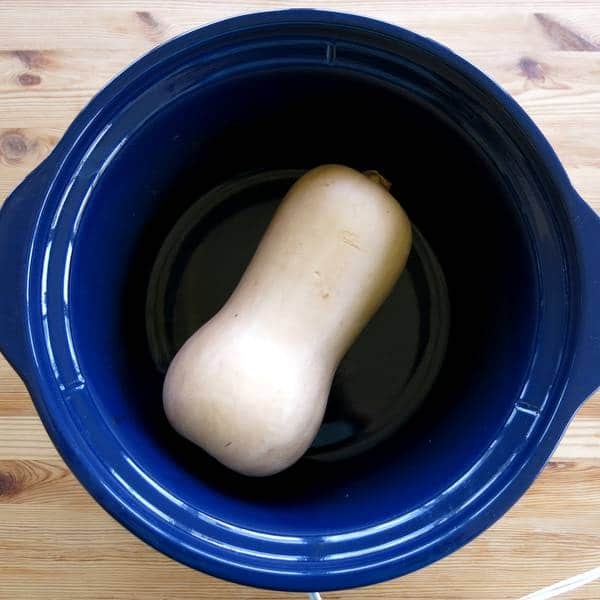 Do not poke squash or add water to the slow cooker. Carefully remove butternut squash from slow cooker since it will be soft and flimsy. Allow squash to cool before handling. Once cooled, cut squash in half and remove seeds and scrape remaining squash from skin for use in recipe. Heat olive oil in a pot over medium high heat. Add apple and onion and saute for about 5 minutes or until onion is softened and apple begins to soften. Add garlic and continue sauteeing for about 1 minute more. Add squash. broth and remaining spice ingredients to the pot. Heat mixture to just before boiling. Remove from heat and puree with an immersion blender or in batches in a food processor. Garnish with additional apple if desired. Recipe times do not include time squash is in slow cooker. Cooking the butternut squash in the slow cooker was amazing and so easy to cut. The entire family loved it. We did not use any cayenne pepper and it was still good.